The aim of the project is to investigate novel forms of spatial constitution under conditions of the current cyber-physical merging of material and virtual communication spaces resulting from a new generation of smartphone apps, the so-called locative media. These apps are designed to add site-related information from virtual spaces to material places of face-to-face communication – for instance, game apps that expand the material space by introducing virtual creatures and objects to it, or a mobile recommendation service app that shows nearby restaurants and their menus. 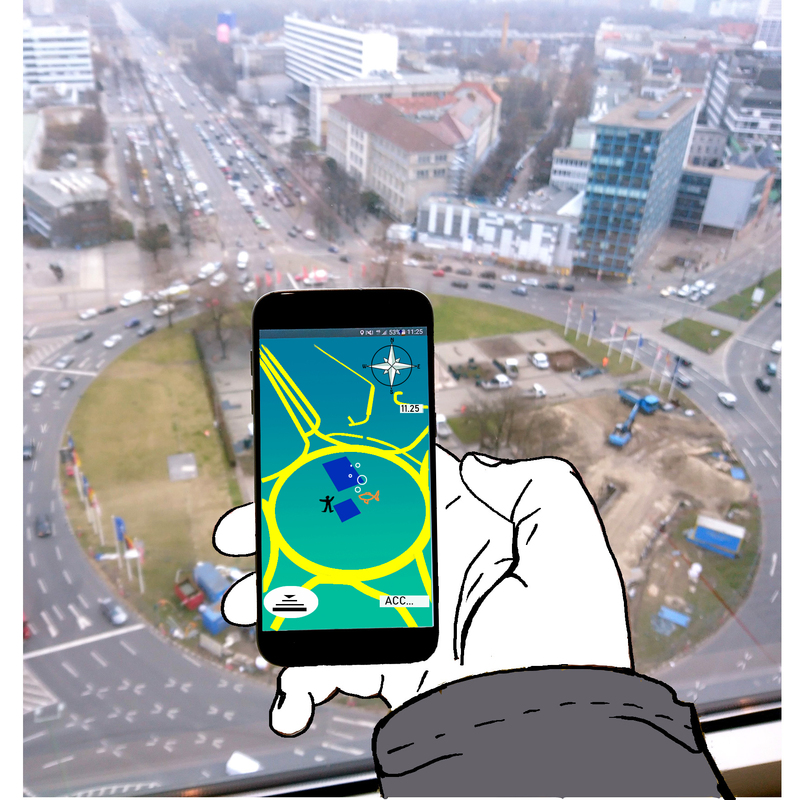 The use of locative media implicates that public places are no longer experienced in identical ways by everyone on site, because for some the spatial constitution is based on additional digitally represented elements that can only be perceived by the users of specific apps. Two resulting effects from the increasing dissemination and use of local media in public spaces are controversially discussed in the literature: the emergence of inclusive places of encounter, and, contrastingly, the emergence of exclusive places of retreat. Our research project builds on these debates and investigates socio-technical conditions under which the emergence of new possibilities for inclusion or increased social exclusion is to be expected. We also ask which new relational arrangements of spatial constitution can be observed in the physical-material and social uses of local media.